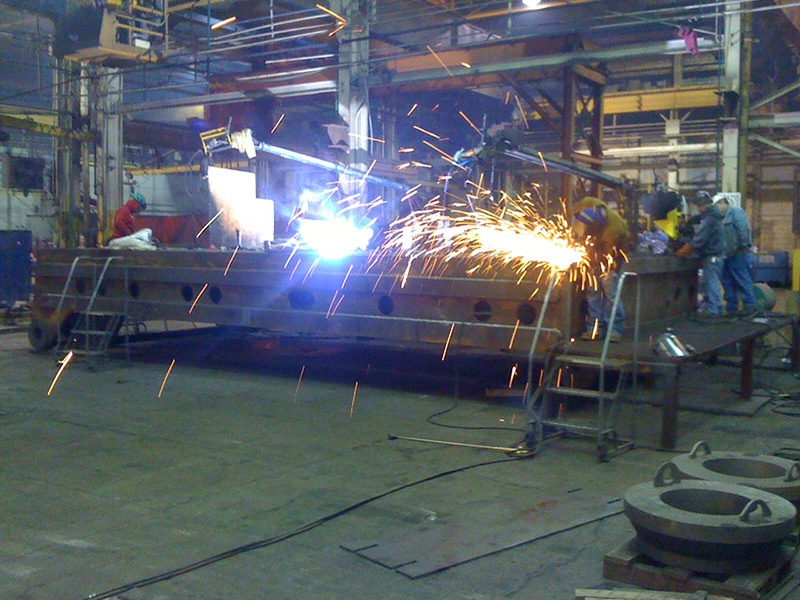 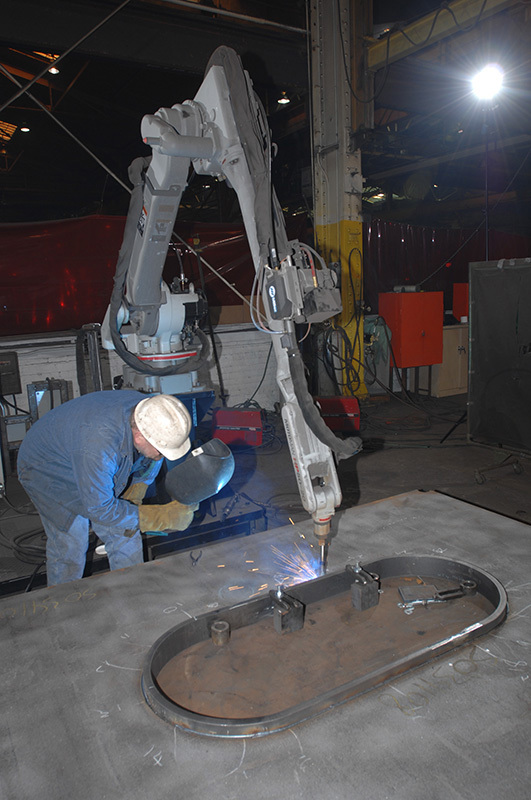 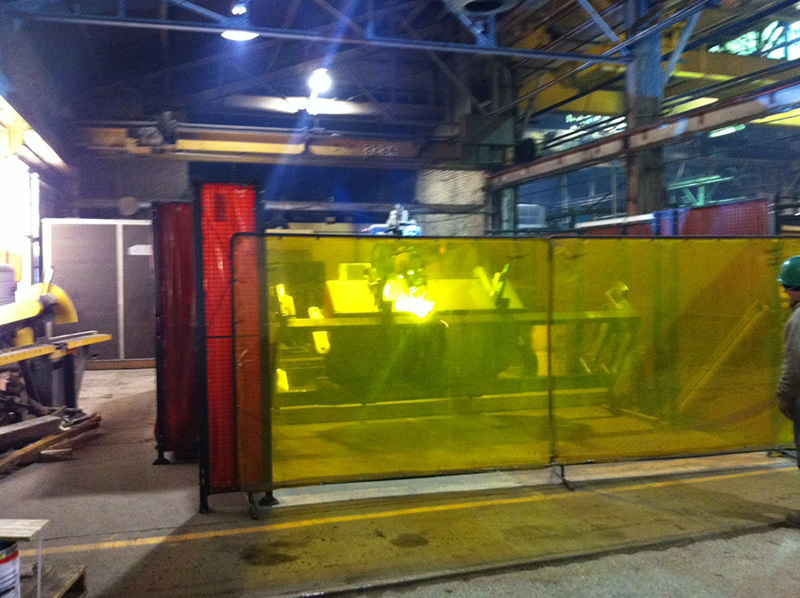 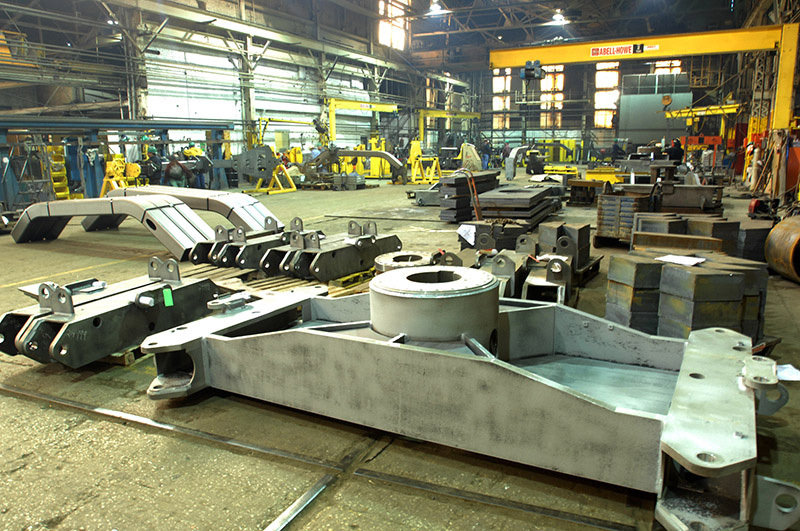 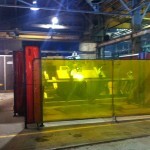 LB Steel’s versatile welding capabilities include both manual and multi-axis robotic welding work stations. 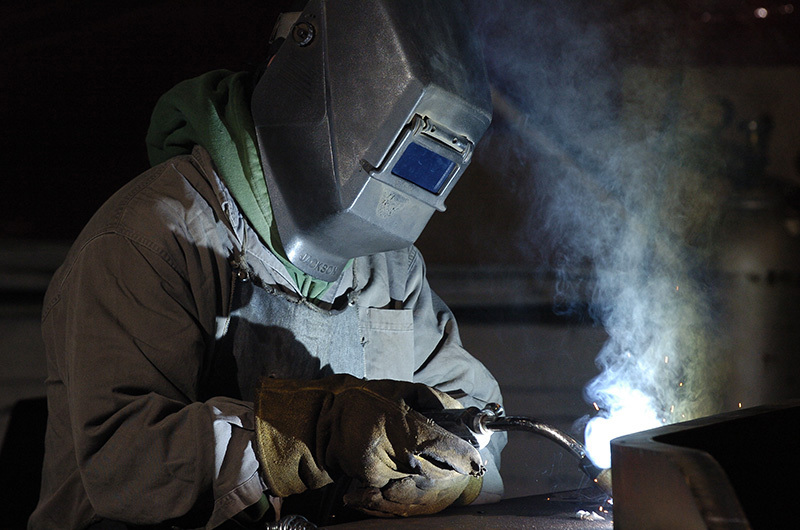 Our welding specialists are trained and certified in-house in a variety of processes and standards to ensure the highest weld quality. 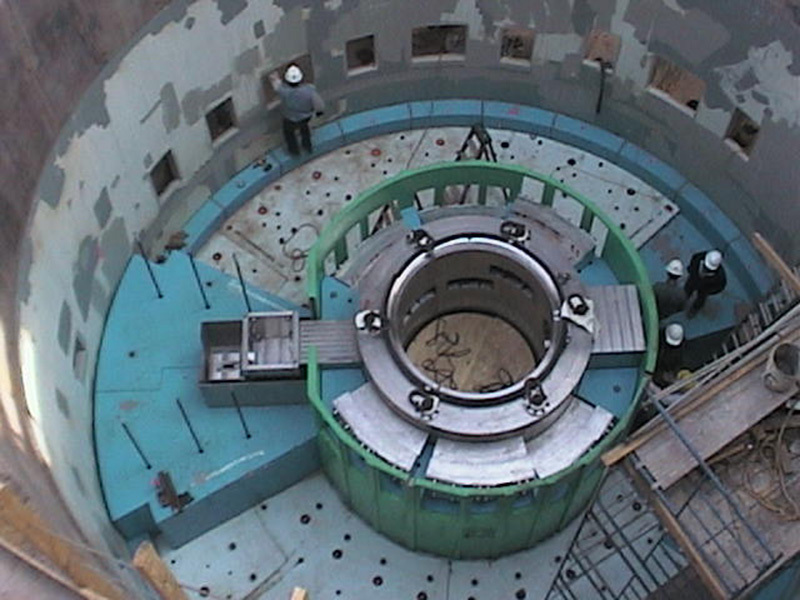 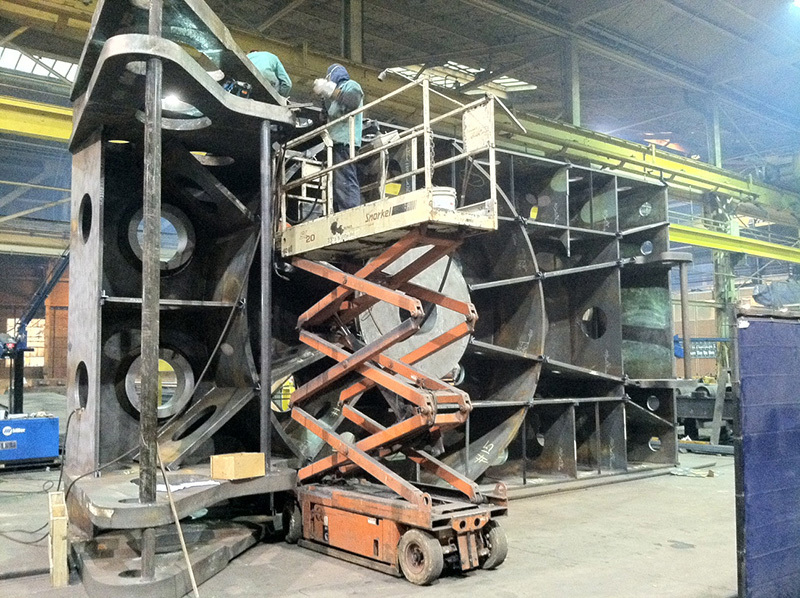 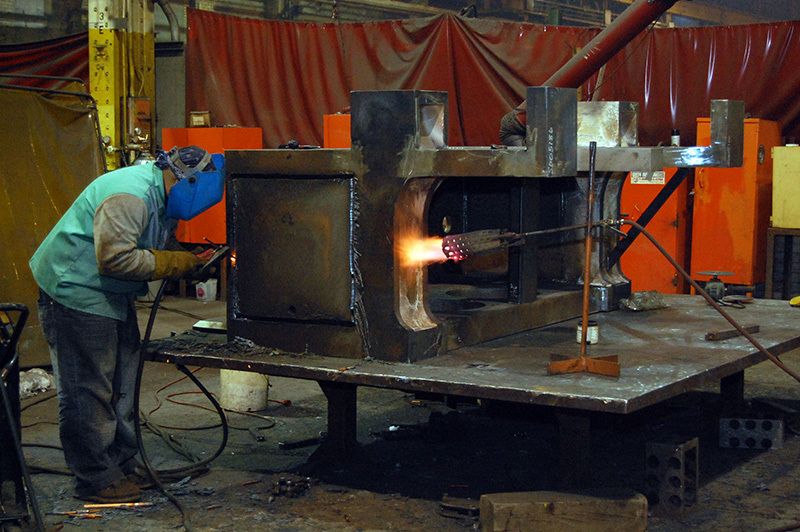 Each specialist is certified to both industry and customer standards through rigorous testing. 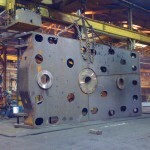 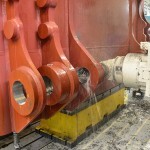 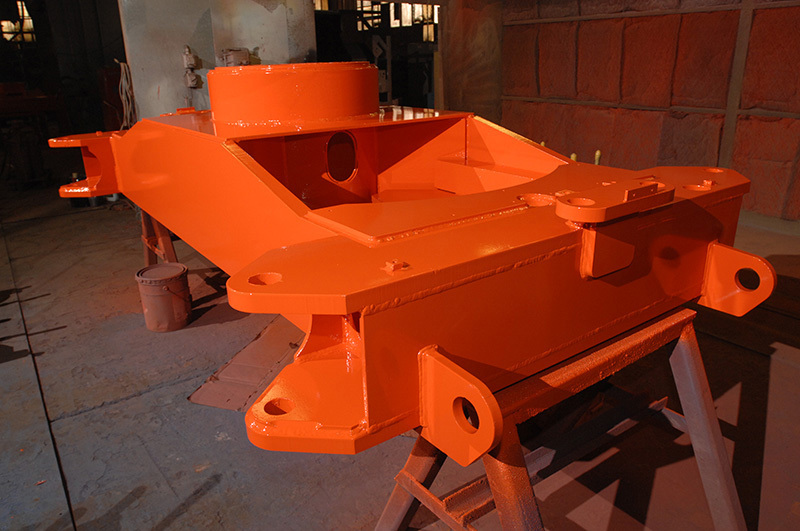 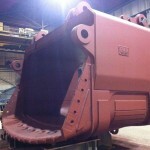 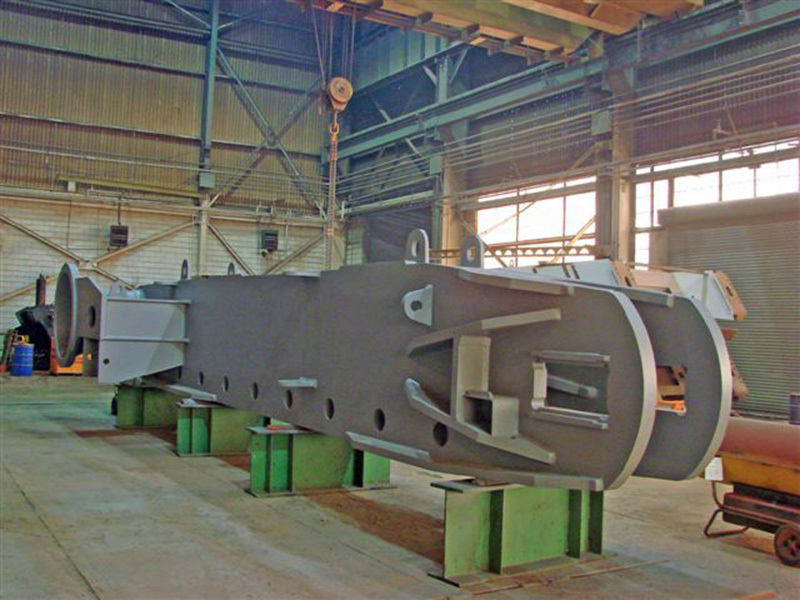 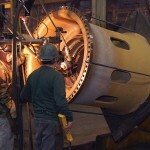 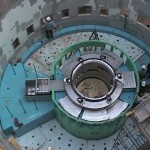 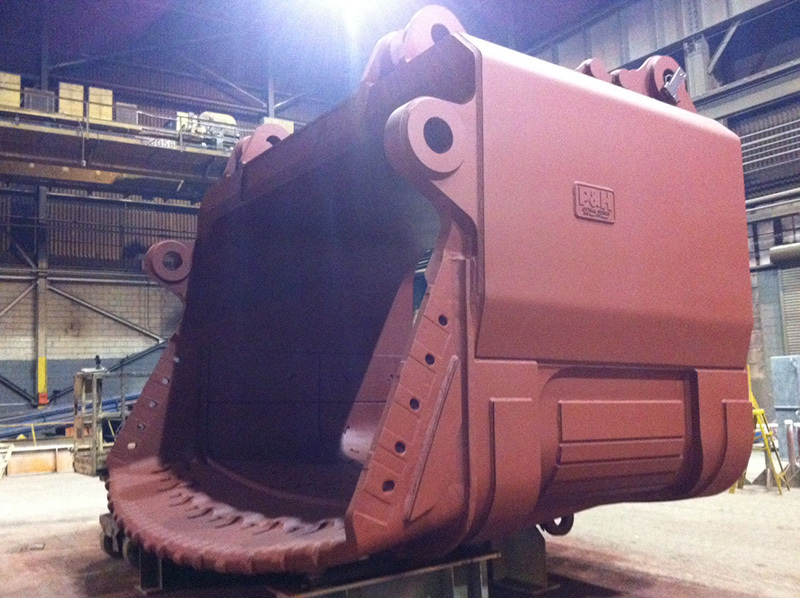 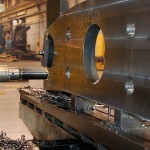 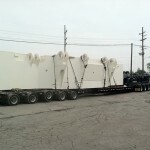 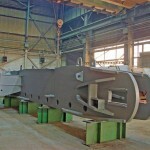 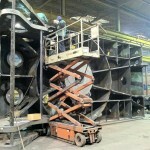 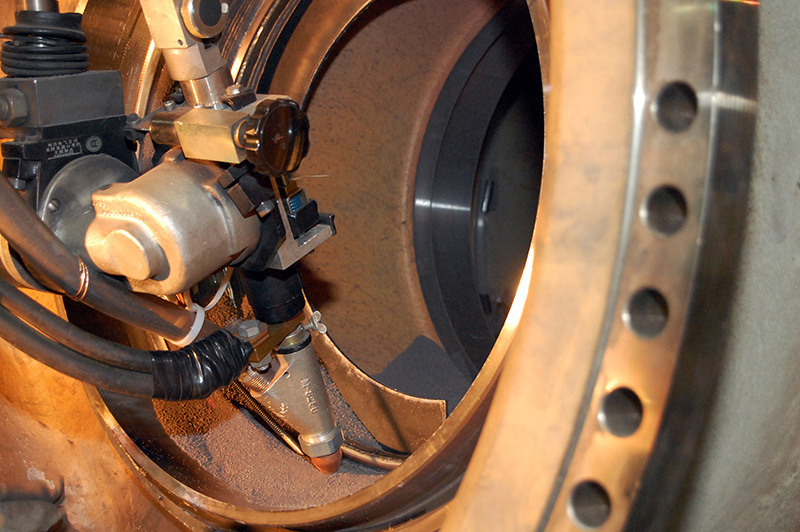 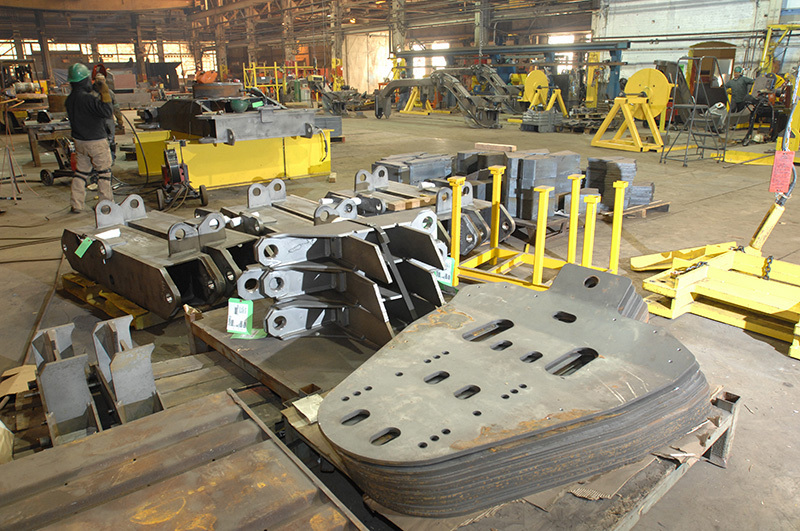 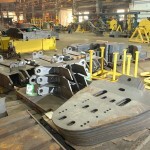 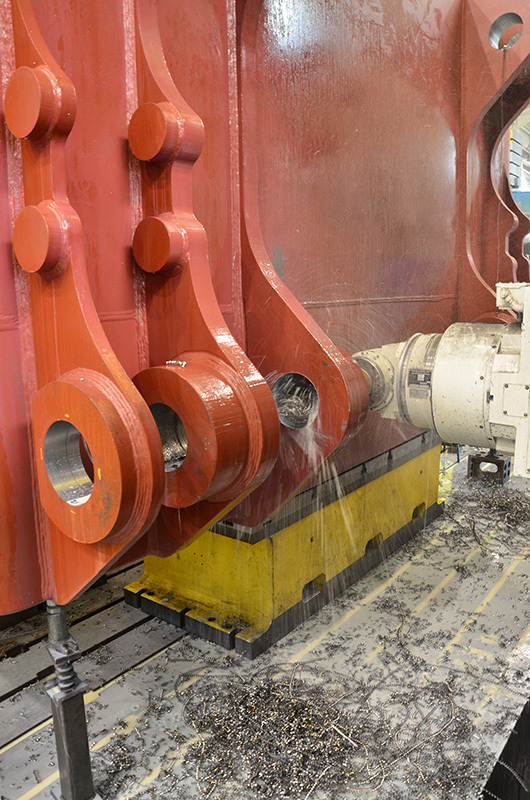 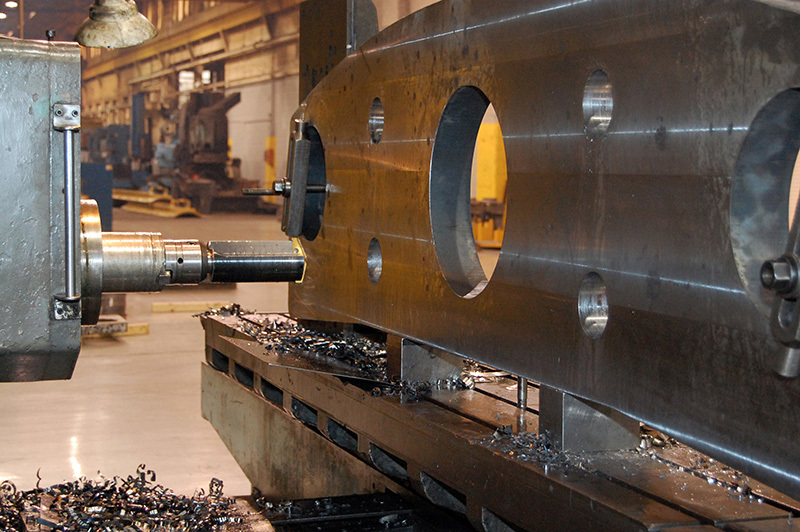 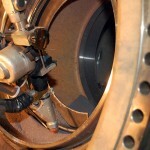 Certified process capabilities include FCAW, GMAW, SMAW, TIG and SAW. 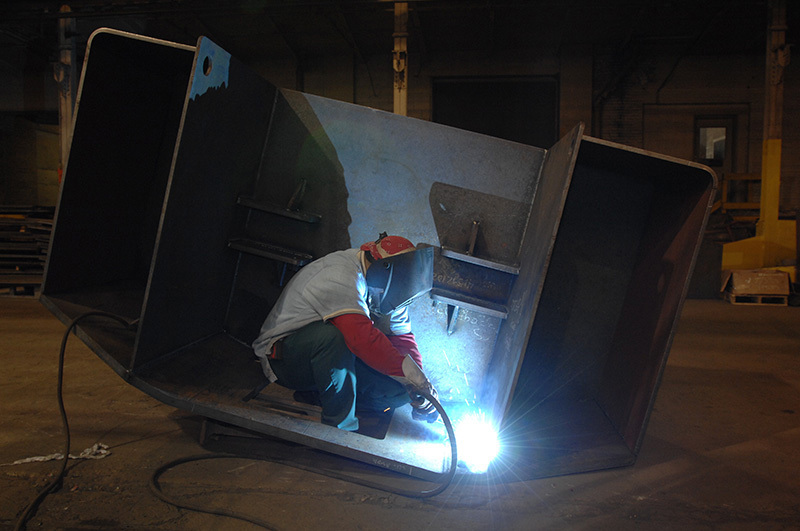 We employ 4 full-time CWI’s and 1 ASNT NDT Level III, qualified in LP, MP, RT and UT for your toughest inspection requirements. 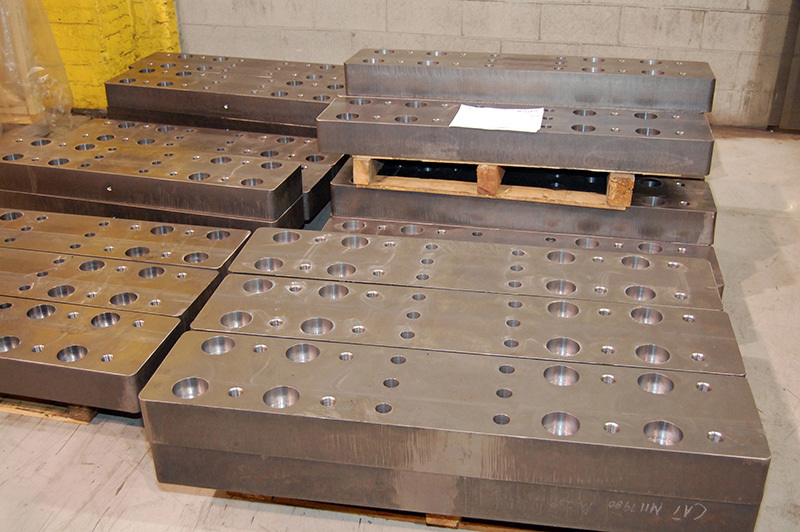 Our library of fixturing and tooling, as well as design/build capabilities using CAD Modeling, ensures you have a consistent product each and every time. 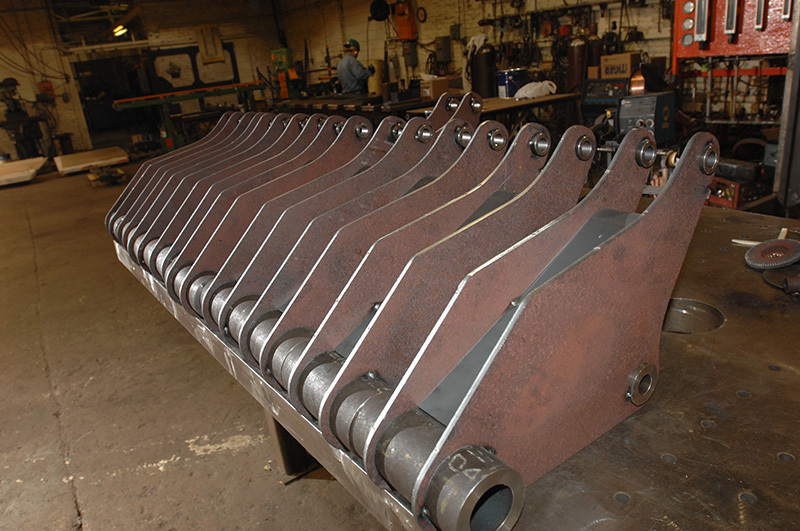 The fabrication cycle is controlled by using visually-aided process booklets that guide specialists through your most detailed and intimate weldment ensuring both cycle times and product consistency requirements are met. 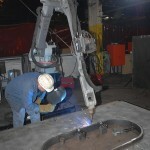 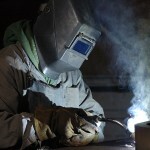 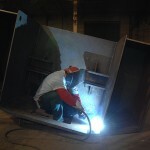 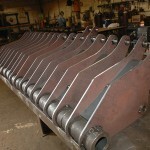 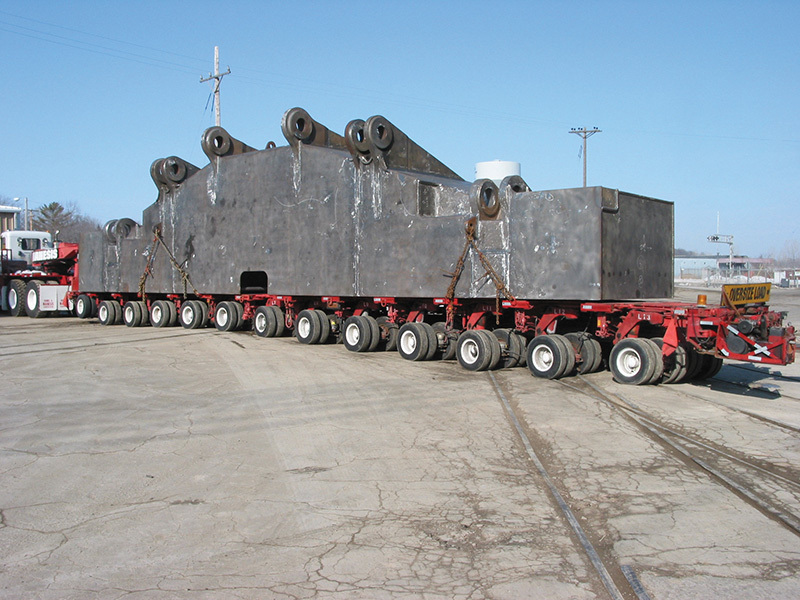 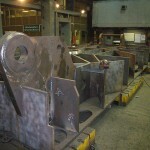 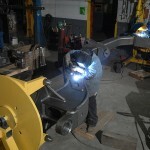 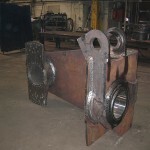 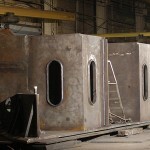 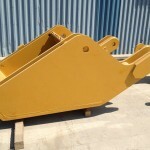 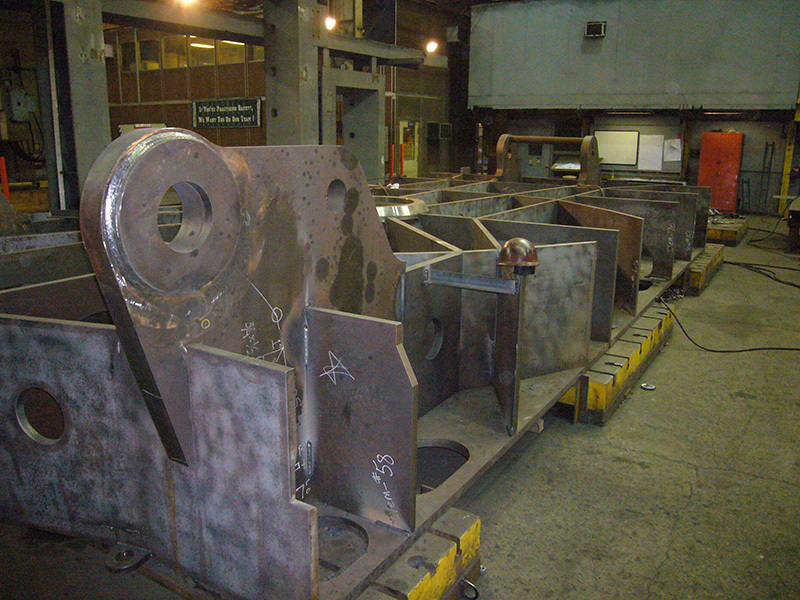 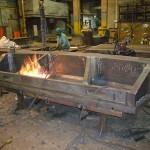 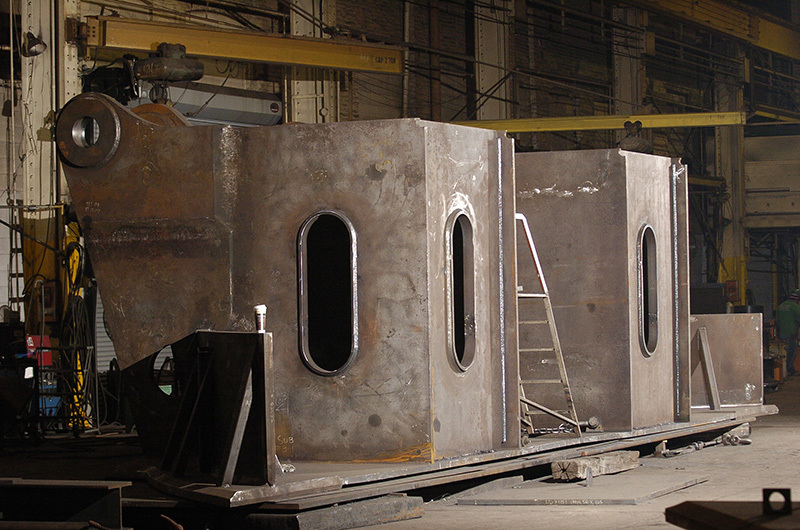 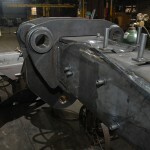 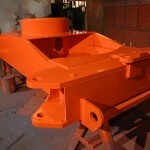 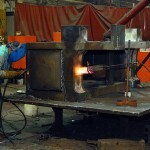 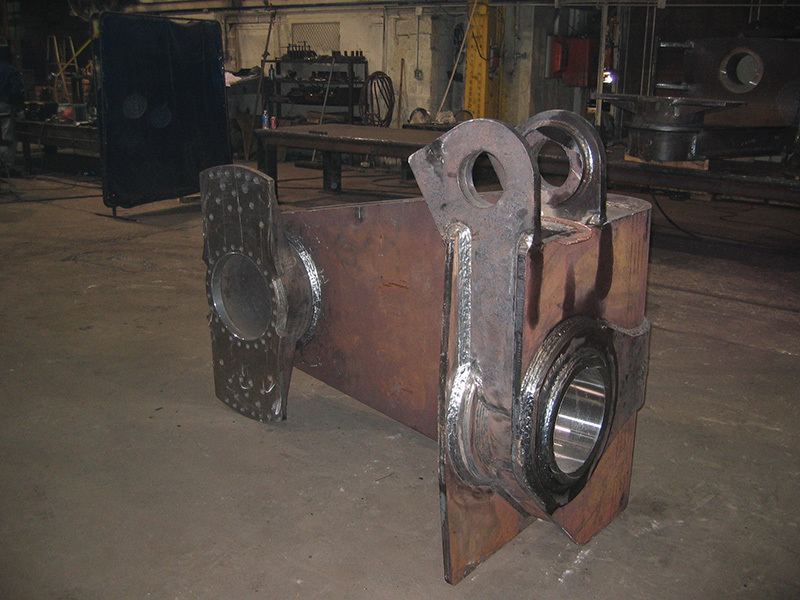 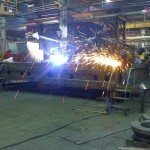 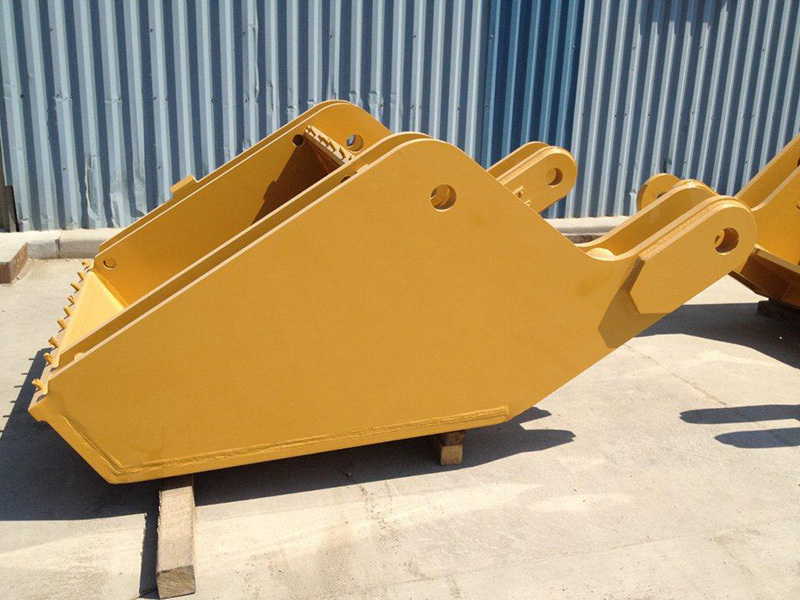 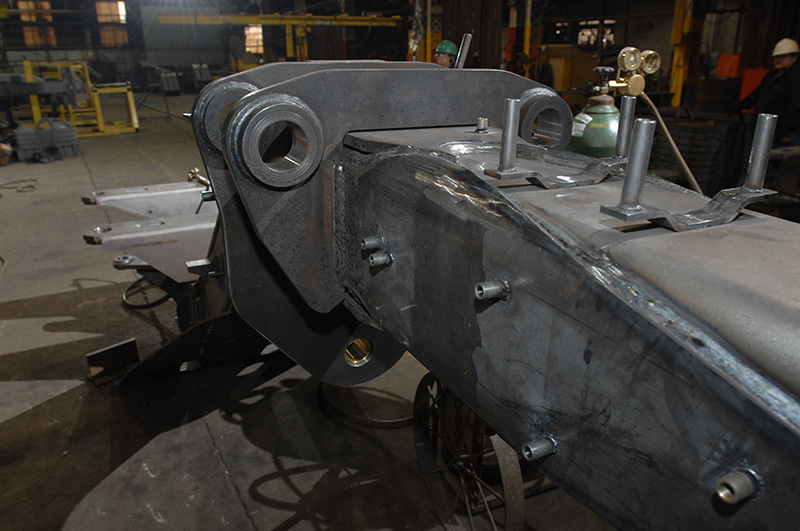 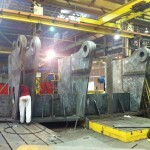 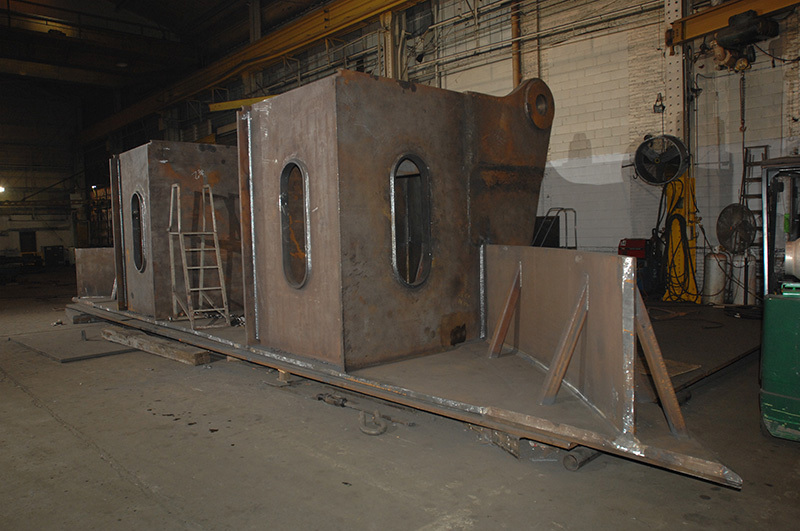 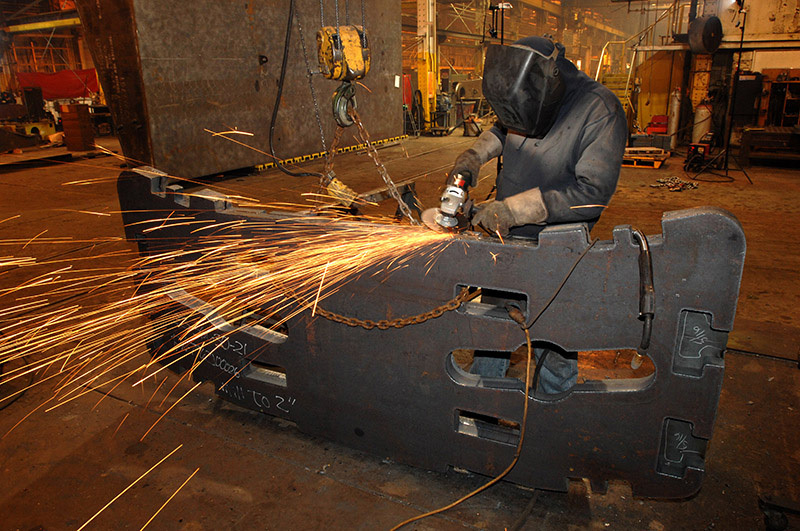 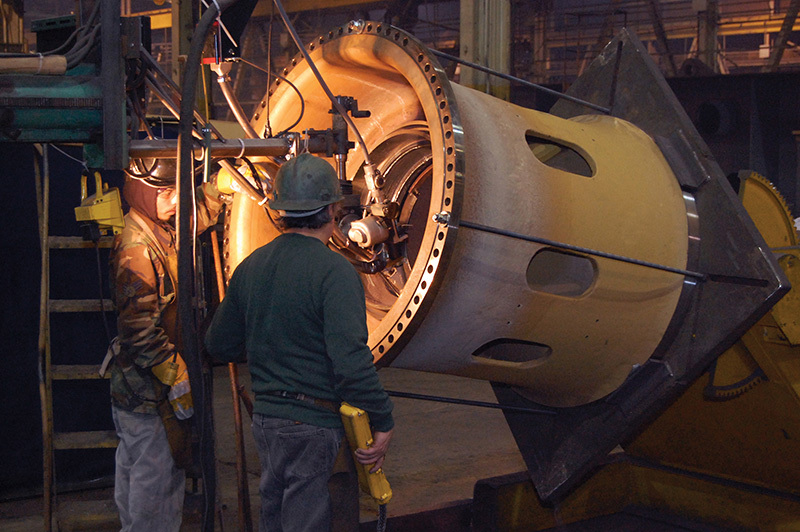 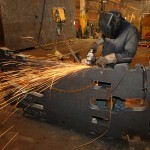 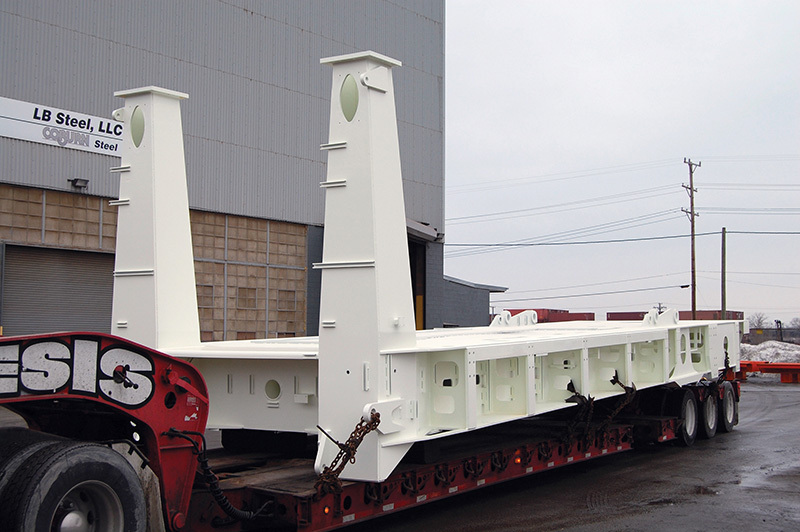 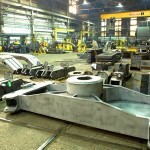 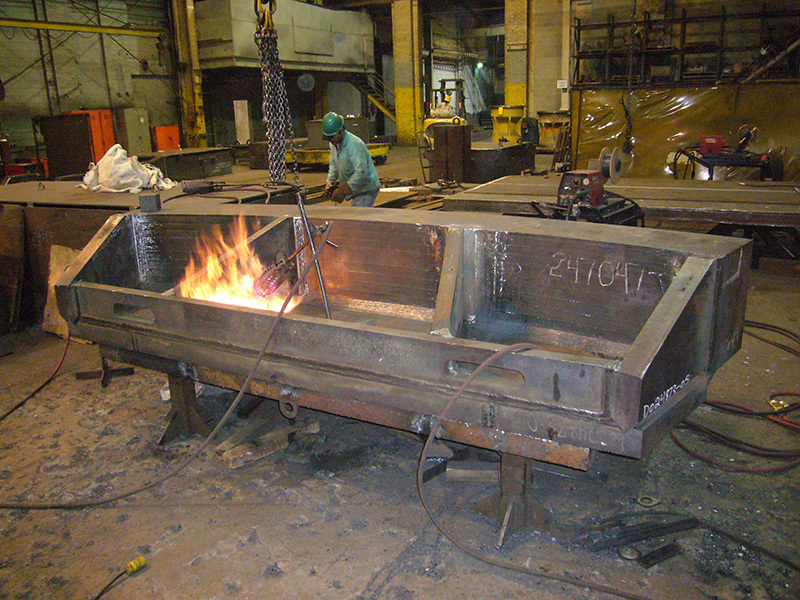 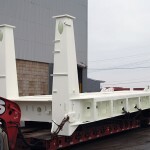 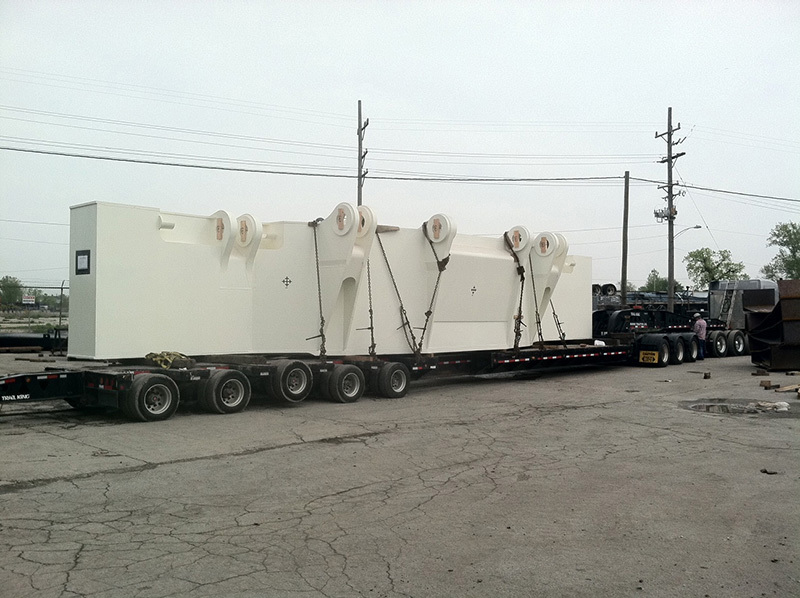 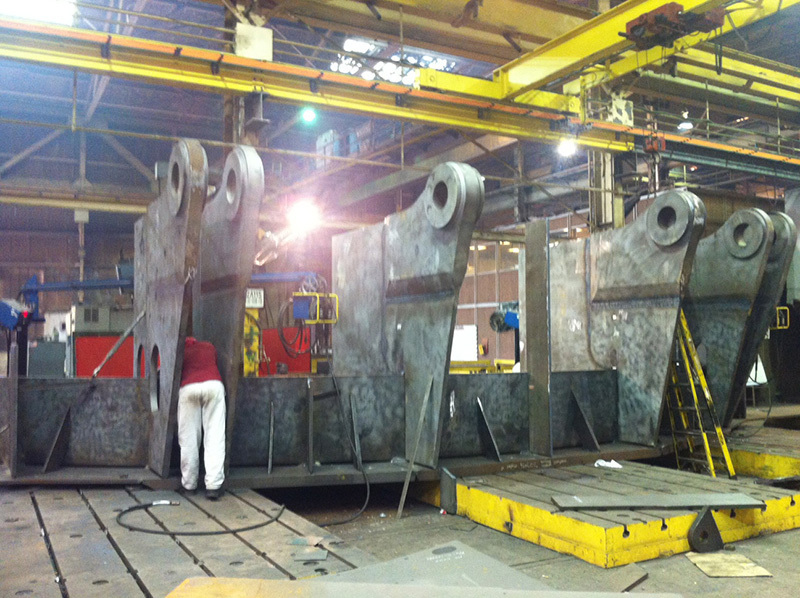 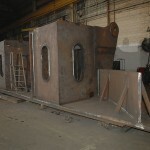 We offer a full range of value-added welding and fabricating services. 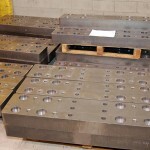 Our wide range of material choices that match your application requirements (A6, Certified Chemistry Plate, and identified chemistry plate) allow us to maximize value and quality on your project. 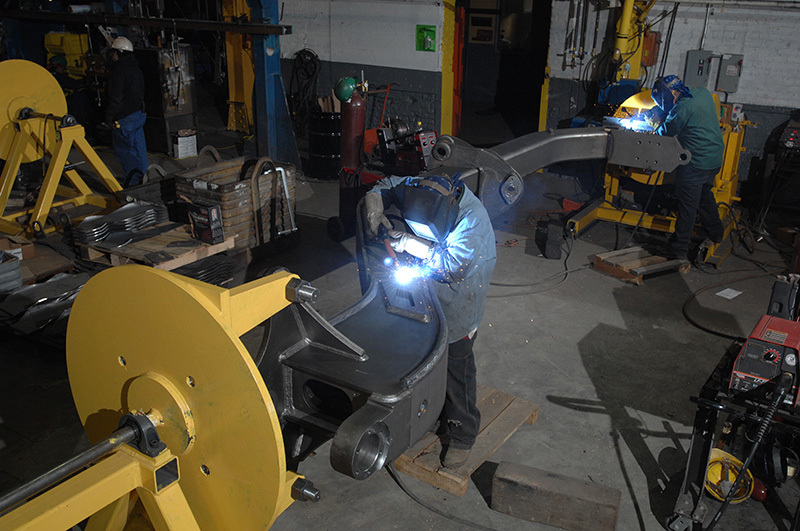 ISO 9000 features strict guidelines for controlling and planning the process to produce a higher quality product. 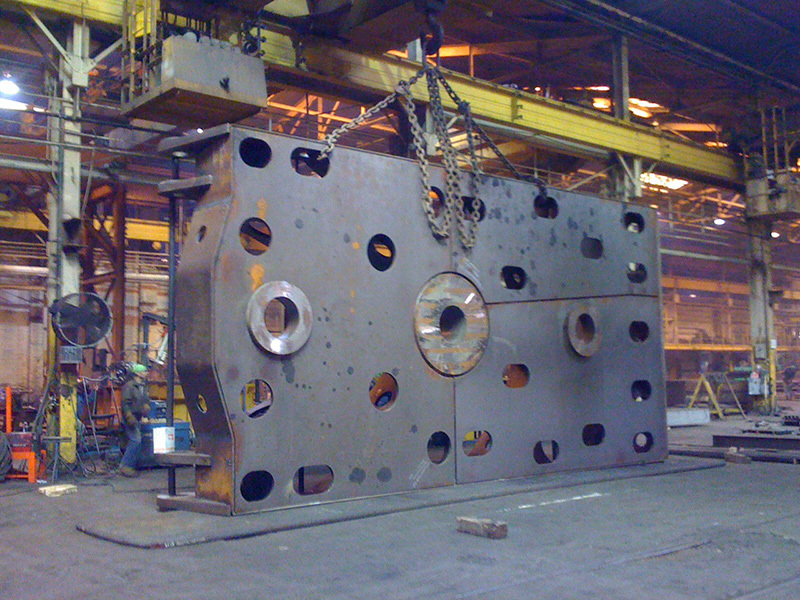 Hot Rolled Plate, Aluminum, Stainless Alloy, etc.